Now add cut bendi/okra and also add jeera, coriander, red chilli powder, salt to that. 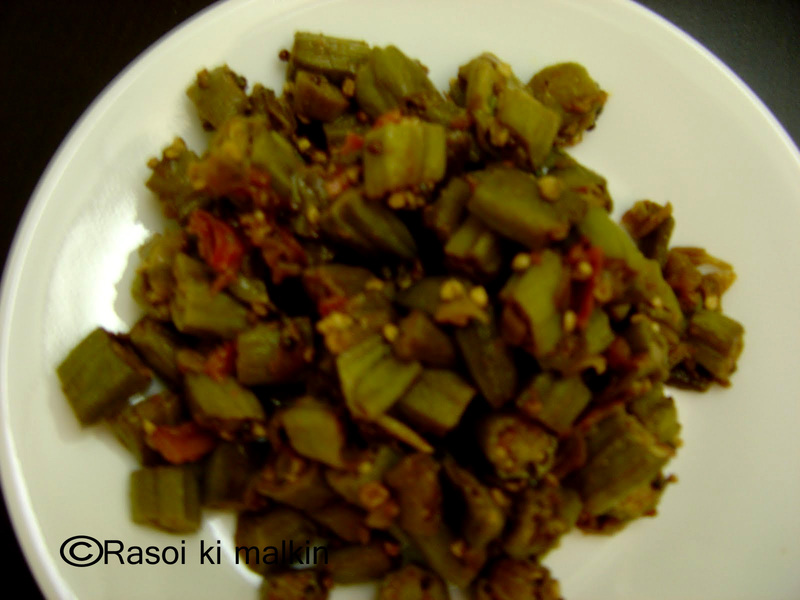 Cook it on medium flame and keep stir them in the middle so that okra is not burnt. When it is done switch off the stove. And serve them with rotis/ rice. Never cook okra with its lid closed. Always cook them with out lid. If needed you can close the lid and cook for the last 5 minutes. You can substitute tomato with amchur/ dry mango powder.